Incorporate this Lutyens bench into your outdoor setting to create a stunning, elegant focal point for both private and public formal gardens, patios and foyers. Based on one of the enduring creations of the renowned architect Sir Edwin Lutyens, this classic design was popular in the Arts and Crafts era and remains a favourite to this day. 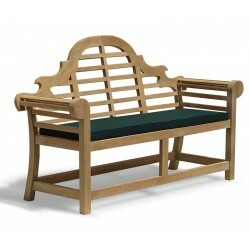 Save 40% OFF a matching cushion when you buy this bench - Perfect for added comfort and style. 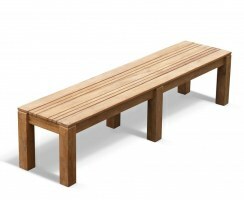 The above image is for guidance purposes only. Our skilled inscription team will strive to ensure the best layout. Please allow about 6-8 weeks for standard delivery of carved inscriptions. 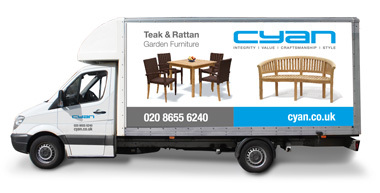 For faster deliveries, please call us on 020 8655 6240. 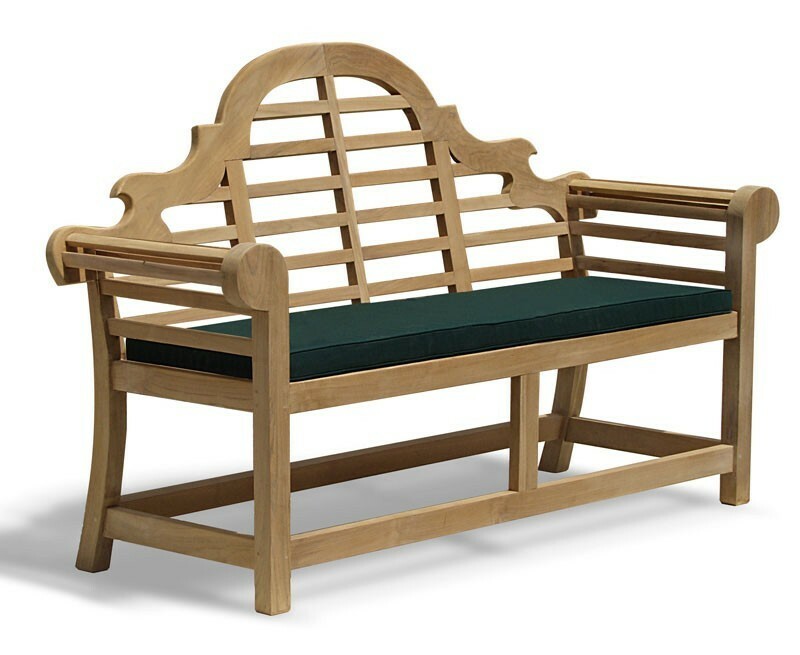 This Lutyens bench has been expertly crafted from durable, sustainably sourced A-grade teak using traditional, tight-fitting mortise and tenon joints and teak dowels for superior quality and aesthetic appeal. 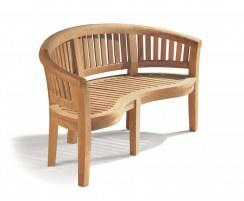 Able to withstand all weather conditions whilst requiring only minimal maintenance, this teak Lutyens bench can remain outside all year round, representing excellent value for money, and if left untreated, it will turn from a light, golden colour to a silvery-grey patina. 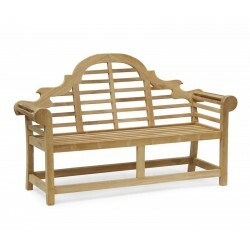 Also known as a Sissinghurst bench or Marlborough bench, the opulent, curved backrests and luxurious, scrolling arms are instantly recognisable, creating a stunning focal point that doubles up as a comfortable, ample seating solution for your guests. 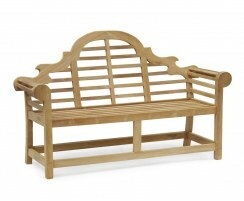 We will deliver this Lutyens garden bench to you fully assembled for your immediate enjoyment. 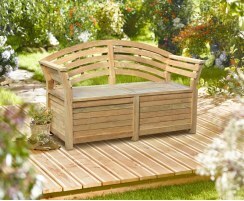 A matching cushion is available separately (not included) should you wish to complete the look and add a splash of colour to your bench. 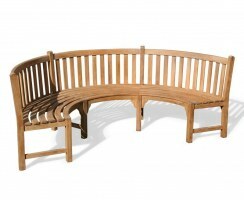 How about personalising your Lutyens bench with a carved inscription and/or memorial plaque(s)? See above for available options and prices.
. 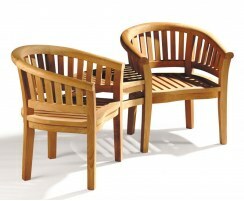 Manufactured in plantation grown, SVLK accredited Grade-A teak.
. Robustly constructed in the traditional manner using tight fitting, glued mortise and tenon joints, which are secured with teak dowels.
. Can be left outdoors all year round with minimal maintenance.
. 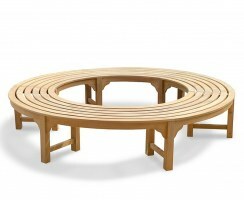 Delivered fully assembled for your immediate enjoyment.